Live and Let Die is a mad old funhouse of a motion picture. There are secret passageways, tombstones, waxwork robots, and loads of snakes and sharks and gators. There's even a spooky guy in a skeleton costume. It's also unkempt and grubby, with lots of peeling paint and overgrown grass and litter filled city streets and abandoned metaphors about funhouses. If you watch the movie James Bond will meet… well, “characters” is such a strong word. They’re more like the weirdos you see at your local carnival on a warm summer night. There’s Solitaire, a wide eyed Disney princess of a young woman who can see the future. There’s an enigmatic, laughing minion who claims to be Baron Samedi, but he mostly just dances around. There’s a perpetually grinning henchman with a mechanical pincer hand, who makes sure to demonstrate his ridiculous strength well in advance of his inevitable fight scene late in the movie. And there’s the villain Mr. Big, who lives an unfathomable double life as a voodoo practicing Prime Minister and New York crime boss slash restaurant owner. To conceal his secret, he sometimes goes around disguised in a rubber mask. Incidentally this mask looks exactly like his own face, but no one seems to put the pieces together until 007 shows up. Our hero spends the movie investigating all of these people, and nearly dies at least a dozen times for his trouble. Bond's driver gets killed on a New York freeway, forcing him to drive the car to safety from the backseat. Poisonous snakes emerge from hidden panels in his hotel room. He’s put on a platform and slowly lowered into a pool of sharks. He’s repeatedly picked up by the same taxi driver in every city, who affably banters with him while driving him straight to Mr. Big. Most memorably, a fleet of speedboats chase Bond around the Louisiana bayou. Bond, for a not inconsiderable length of screentime, becomes a peripheral character in a brand new movie about a dogged South'rn Sheriff who calls everyone “Boay” and accuses Bond of being “some kind of a Doomsday Machine.” You won't believe how many times you'll see a boat propel itself across a piece of land. By the end, it becomes difficult to recall a time in your life in which you weren't watching this chase. Don’t say you weren’t warned. The first five minutes, which forego an introduction to James Bond for three colourful murders in the locations we're about to spend the next two hours, let you know what you're in for. This is essentially a movie about people devising convoluted yet inventive ways of killing other people. And the wackiness doesn’t stop at just crazy deaths. You’re bombarded with hidden bookcase doors, revolving restaurant booths, scarecrows with cameras for eyes and guns for mouths, and more hidden walkie talkies than you can reasonably expect to come across in your real life. Why is everything in the movie so complicated? Why is everyone trying to kill Bond in such indirect ways? It's a question you'll be asking over and over throughout the movie. I have some thoughts about this, and they occurred to me when I read the book Live and Let Die was adapted from. You can say a lot about the very real racism of the original novel. 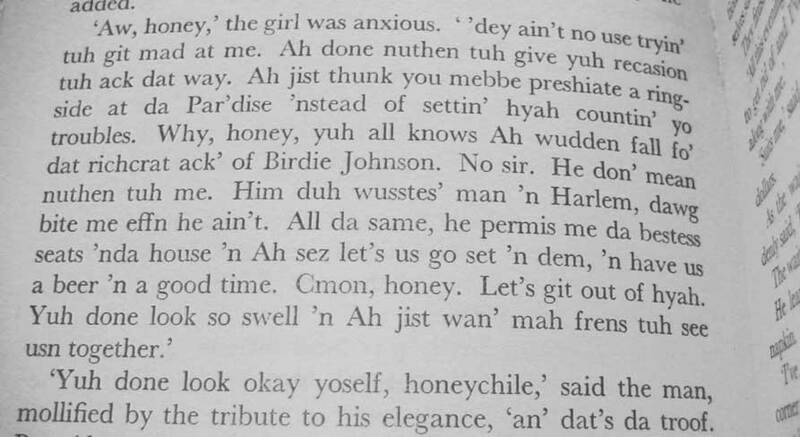 Ian Fleming, an upper class English white male snob from the 1950s, writes the dialogue of his lower class American black characters phonetically, and it's even worse than whatever you imagined just now. Despite that, Fleming's characterization of Mr. Big is fascinating. He's a man who desired to become the first great black crime boss. Having achieved that, he now finds himself bored with life. The only way for him to combat the malaise is to bring a certain artistry to the methods he uses to deal with his enemies. In the first part of the book, 007 receives an explosive alarm clock in the mail that's not meant to kill him, but to inform him that his "heartbeats are numbered." The literary Mr. Big also has a restaurant table on a trapdoor. 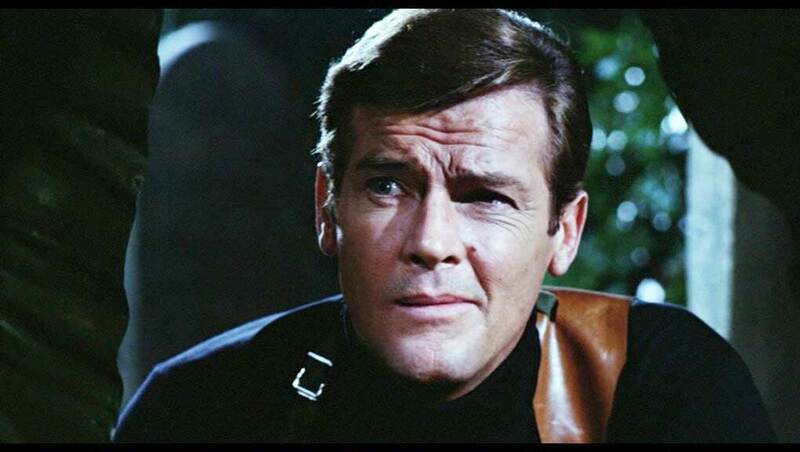 Once he lowers Bond into his lair, he keeps him in line with a hidden gun inside a keyhole in his desk. This penchant for the dramatic isn't a stated characteristic of the movie Mr. Big. But it does seem to be the philosophy of the people making the Bond series. In many of the movies, and Live and Let Die could be the purest example, it seems like the primary goal isn't to tell a logical story, but to confound audience expectations at every turn. You have to work hard to find an "ordinary" scene in Live and Let Die. There are unexpected deaths, unexpected escapes, and unexpected devices everywhere you turn. I like to think that producers Albert R. Broccoli and Harry Saltzman, just like Mr. Big and just like Ian Fleming, felt like they were doing something artful by conceiving of and filming all these needlessly elaborate scenes, just because they could. Once you look at Live and Let Die, and indeed the whole Bond series through this prism, it takes on a certain joyfulness. Just take the film’s most successful sequence, involving Bond on a small island in crocodile infested waters. His magnetic watch looks as though it’s going to save him, but when it fails Bond is forced to run across the crocodile’s backs to get back to shore. It's an absolutely brilliant, subversive moment, and an encapsulation of why I love this series. Times and attitudes change, but storytellers putting their protagonists in crazy situations and finding even crazier ways to get them out again? That’ll never go out of style. It’s not the best James Bond movie by a long shot. In a lot of ways it’s not even that representative of the films, with its Blacksploitation inspired style, dirty looking visuals, and super 70s George Martin soundtrack. But it’s maybe the best distillation of what the series is about, and the spirit of Ian Fleming hangs over the proceedings. 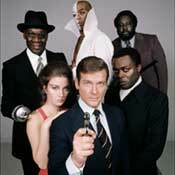 Personally, I have a great time with Live and Let Die. If you don’t, suffice to say that we have very different ideas of what fun is and will probably never see eye to eye on anything. But that's ok. More crocodile farms, double decker bus chases, and grave elevators for me.